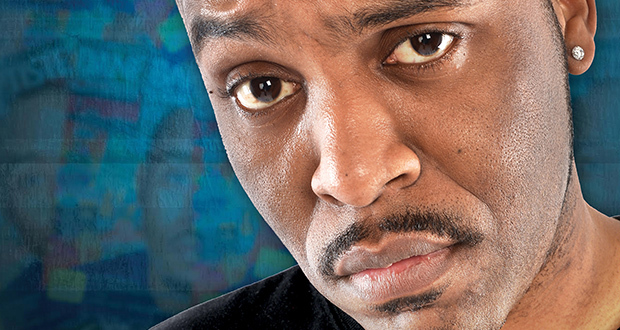 Funny Way to Be Comedy Club will welcome one of British comedy’s hottest new talents later this year when Dane Baptiste appears at The Witham, Barnard Castle. Baptiste will perform his critically-acclaimed show Reasonable Doubts at the Teesdale venue on Saturday 26 November 2016; the only North East date so far on his first nationwide tour. Original, provocative and exceptionally prolific, Baptiste is already being hailed as one of the most exciting new comedians in years. Dubbed “a thunderingly charismatic comic” by The Guardian, the London-born stand up made comedy history in 2014 when he became the first black British act to be nominated for an Edinburgh Comedy Award, for his debut show Citizen Dane. In 2015 Baptiste was named The Independent’s Face to Watch and bagged himself another Best Newcomer nod at the Chortle Awards. Stylish, smart and endlessly magnetic, Baptiste’s “observational comedy at its best” (The Independent) has since seen him complete two sold-out runs at The Soho Theatre, as well achieve total sell-out runs at the Edinburgh Fringe in 2014 and 2015. Now an established TV regular, Baptiste has performed on Live at the Apollo (BBC Two), Sweat the Small Stuff (BBC3), Virtually Famous (E4), Celebrity Squares (ITV1), Seann Walsh’s Late Night Comedy Spectacular (BBC3) and Live at The Comedy Store (Comedy Central), as well as writing and starring in his very own sitcom, Sunny D, for the BBC. Tickets are priced £12 (£10 for concessions) are available from funnywaytobe.com or in person at The Witham Box Office.